Did you know your skin is the largest organ of your body! So why do we slather it will chemical rich, toxin-filled creams? I ask you would you eat them what you are putting on your skin? If the answer is no then read on to find out what is less good for the skin and how to moisturize without the long-term damage. In September last year, I went to the Brighton Vegan Festival in Brighton. It was held at the Metropol Hotel and it was my first Vegan fair that I had been too. I was so excited and the main thing I needed to find was an alternative to the coconut oil that I had been using whilst we lived in Asia in the humid climates. It just was not working for me in the UK and the colder climate. The last stand that I came to was the Shea-Me stand and I had a great chat with the owner and founder. She told me how her butter is made 100% from the shea nut. Yep, that’s it just nut whipped until its ground to a cream. Well, I was so excited that I bought 2 200ml. 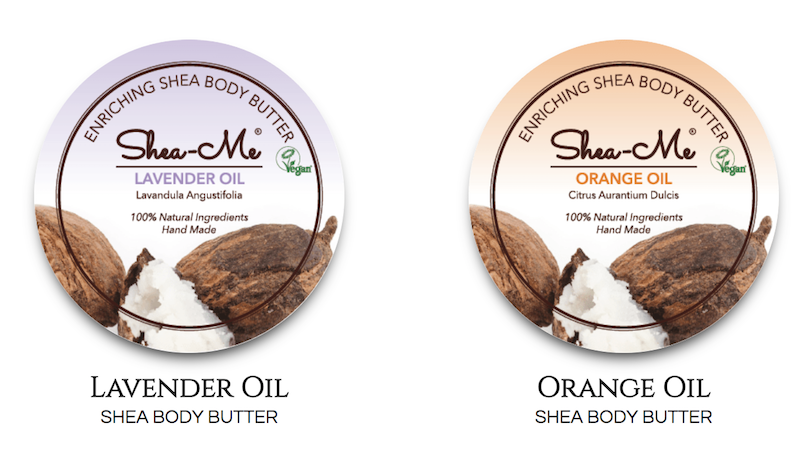 I bought the 100% organic shea butter – plain, and the 100% shea butter lavender oil. Of the 2 the recommendation was the lavender and I have to say its softer to apply and has a delicate scent. Perfect for every day. I use the plain one to mix with my essential oils and play around with different sents and potions. All you need to do is melt the plain shea butter a little by leaving it in a warm place and then add the essential oils. I have been using the product for under a year and its still going strong, not quite finished the lavender yet, but ready to order my next batch. I highly recommend this product and it’s from a lovely lady that is passionate about what she does. The stock can be mail ordered to anywhere in the world. Here is the link to the product page and my recommendations are the lavender shea butter for easy application.